Empower your planners with full control of your production capabilities. Get full control of production scheduling throughout your workflow, allowing your team to manage delivery deadlines, optimise capacity and react to ever-changing demands and priorities. 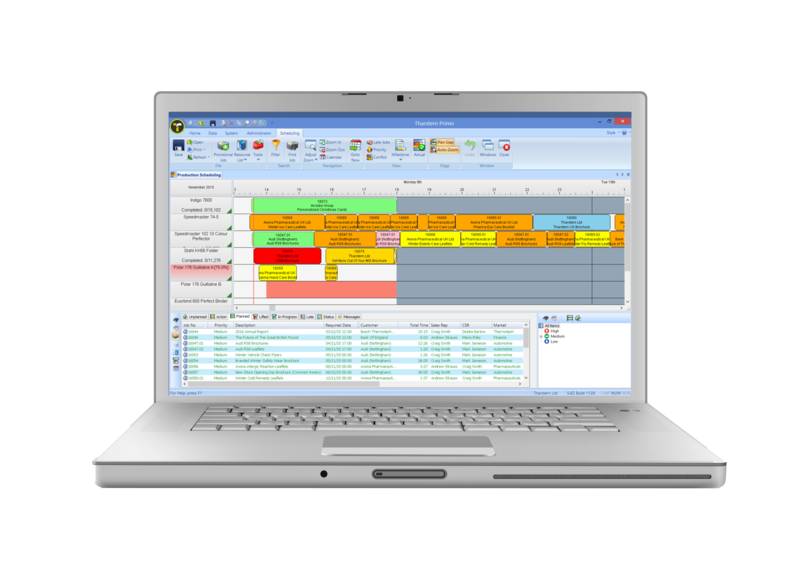 This add-on tool increases the transparency and visibility of the production plans, progress and capacities across the business, allowing each department to prioritise and manage their own workloads. Create production snapshots to allow scenario planning in addition to 'what happened?' analysis. Create complex production shift patterns including overtime and machine maintenance scheduling. Plan jobs forwards or reverse plan from the required date, highlighting jobs that are not going to meet their required production date. Integrates with Shop Floor Data Capture module to provide operator work-to schedules. Integrates with Purchasing module for supply chain management of expected material delivery and/or outsource processing.